The MLS Cup playoffs are underway and two teams have booked their places in the conference semi finals. 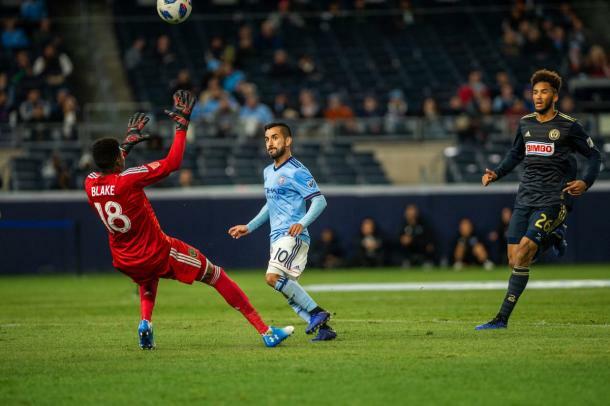 The Audi 2018 MLS Cup playoffs saw four teams play for a place in the Conference Semi Finals and at the final whistle, both New York City FC and Portland Timbers FC had furthered their playoff journey. New York City FC welcomed the Philadelphia Union one week after defeating them on the final day of the regular season. The end result was the same once again as NYCFC ran out as 3-1 winners over the Union and moved on to the next round. Ismael Tajouri-Shradi opened the scoring in the tenth minute after a lovely move which saw David Villa dummy Maximiliano Moralez' through ball on to Tajouri-Shradi. The Swiss forward then took his shot first time from the top of the box and thumped it past Union goalkeeper Andre Blake. 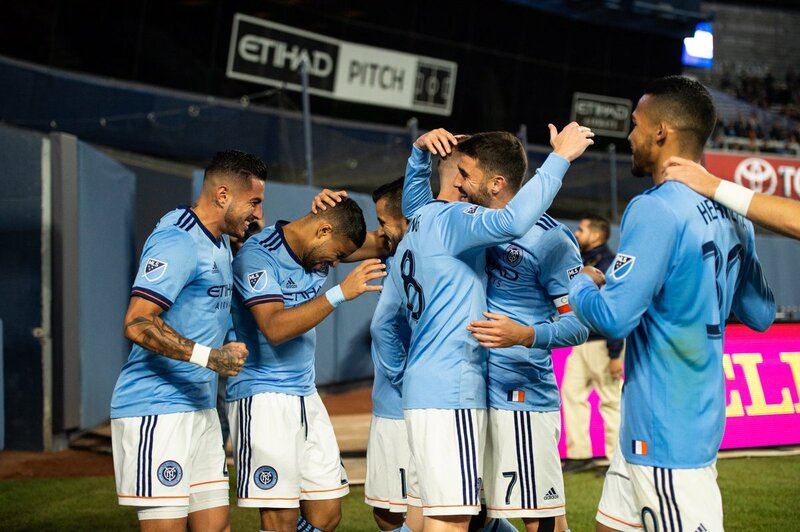 Moralez and Villa were at the center of NYCFC's second goal in the 26th minute as Alexander Callens stepped in to intercept a pass and strode forward before finding Moralez near the sideline in transition. The No. 10 for NYCFC then squared the ball to Villa who took a few touches before finishing neatly into the far corner of the goal. Moralez then got the goal his display deserved in the 78th minute after running onto Anton Tinnerholm's ball over the top and chipping the onrushing Blake. Cory Burke got a consolation goal for the Union in the 83rd minute but by then it was too little too late for Philadephia who were completely outshone by the home side. NYCFC will now travel to Atlanta to face Atlanta United FC as they bid to make their first ever MLS Cup final. Atlanta at any venue is not an easy match for any team and they are even harder to beat at home but NYCFC have shown earlier this year that they can go to Atlanta and pick up a result. They will be hoping that this is the case once again. 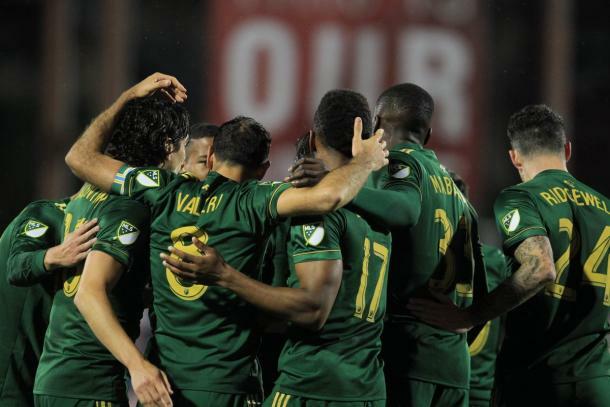 Portland Timbers FC traveled to FC Dallas last night and managed to dig out a 2-1 win over the Texas side to also book their place in the next round of the playoffs. FCD had thought they were ahead in the 12th minute as Reto Ziegler finished from close range after a free kick but he was offside and the goal was ruled out. They would come to rule that missed opportunity as Diego Valeri put Portland in front in the 23rd minute from about 26 yards out with a fantastic bending free kick. Michael Barrios then hit the crossbar from a tight angle in the 26th minute but it was Portland who scored the second goal of the game in 71st minute, despite being down a man after Larrys Mabiala getting sent off in the 58th minute. Jeremy Ebobisse held up the ball well on the break before finding Valeri who finished into an empty net as goalkeeper Jesse González had come out to close down Ebobisse. FCD finally got on the board in stoppage time when Matt Hedges nudged the ball home from close range but not taking their chances earlier and poor defensive play meant that Hedges' goal came too late to mount a comeback for Dallas. Portland will now travel to play Sporting Kansas City in what will be another difficult away trip for the Timbers. Sporting KC is a difficult team to beat especially in the playoffs as shown by their record in the competition but the Timbers seem to be building up a head of steam now and could provide an upset in this next round.